The beauty of interfaith weddings is that they are your service – I provide a suggested ceremonial structure and you choose what readings, rituals, music and feel that you want. Together we will create a ceremony that will be all you want it to be. I’ll write the first draft and you can make sure every word fits what you want to have to make this day the perfect day for you. So far feedback is very positive. Interfaith Ceremonies work for all people. My work as a minister is to create a ritual which encapsulates in a short time the highest aspirations you have as a couple and blesses you for your married life. Interfaith ceremonies also work with people from differing religious backgrounds, gay marriages, and people who are not formally religious yet wish to have a spiritual blessing on their union. We usually need at least a few meetings to create the ceremony together, we’ll need to have a rehearsal and then there is the actual ceremony itself. Although I am an interfaith minister I am very happy to conduct secular weddings. The important thing for me is to help you create your special day with all the ingredients that will make it a perfect day. 11 years ago in Hong Kong, the law changed and now marriages outside of churches and civil registries are allowed, but only solicitors can do so. I have a list of solicitors who can provide the legal component of the wedding. Please contact me to confirm if you would like this as part of your ceremony and for the costs involved. 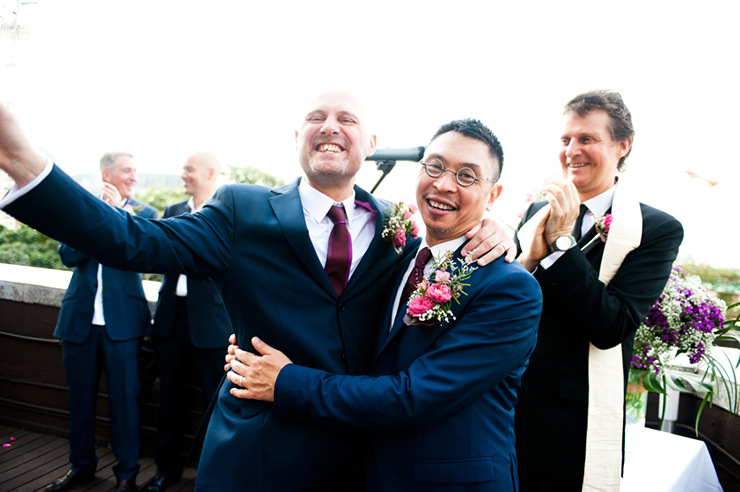 Currently interfaith weddings in Hong Kong and Asia are either blessings on a civil registry marriage or include the solicitor’s legal wedding part within the ceremony. Legally the interfaith ceremony is a spiritual blessing on the wedding. I’m very happy to have an informal chat with you with no obligation on your side. We’ll then confirm dates and I’ll ask for a deposit to be paid. If you are abroad this can take place on Skype. Anywhere and everywhere! The blessings by their non-legal nature can take place wherever you wish. Do you wish to marry on a beach? On the hillside? Or perhaps on a boat? Where you wish for your dream wedding to be. International options welcomed. 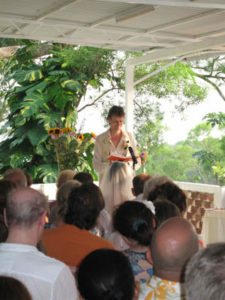 To read how couples married by Peter enjoyed their wedding, please click here. I am an Australian Marriage Celebrant. If you would like to be legally married in Australia, please contact me for more information. All weddings are legally registered and need to be on Australian soil. I believe strongly in gay weddings and love celebrating them. 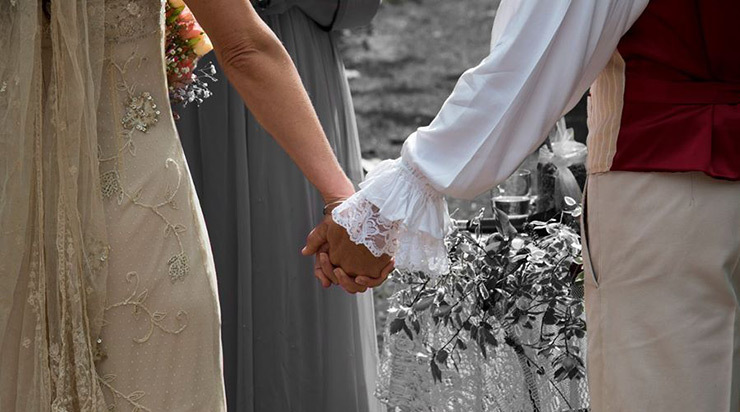 As the law stands as with heterosexual weddings, I can only bless the union as a celebrant. I offer a series of 4 pre wedding counselling sessions to go deeper into what the commitment is that you are about to launch into and to prepare for your married life together. We explore everything from your hopes, fears, vows, money, children. Email me for a flier or more information. HK$7000 for the ceremony, all preparation and meetings.